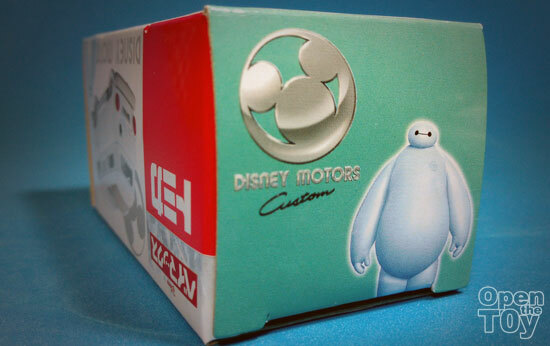 On the side cover of the box where the Disney Motors custom, there was Baymax too! 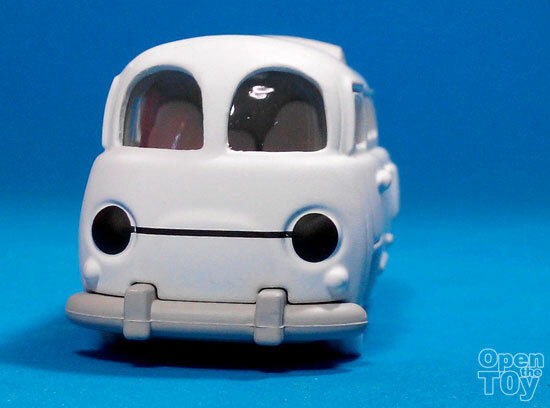 Out of packaging, Baymax van look awesome with the smooth white matte paint job. If you are wondering what is that circle logo that look like a pokeball, that is actually the disc opening of Baymax where to disc was slotted in the movie. 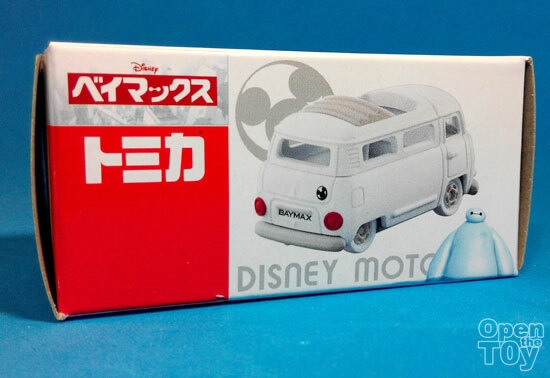 On the other side, it very much look like a Volkswagen camper van. One thing to note, all four wheels are white. That is quite special. 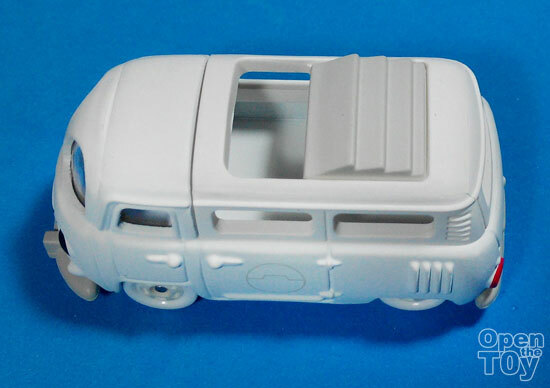 The top was an opening of the flaps. 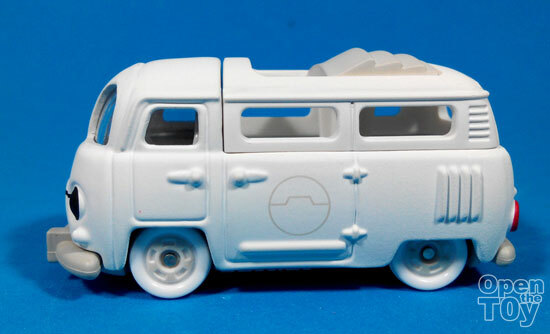 I actually prefer it covered tho..
At the back is the actual red signal lights that kinda look out of place but a van do need some signal lights. I love the fonts of the license plate tho. 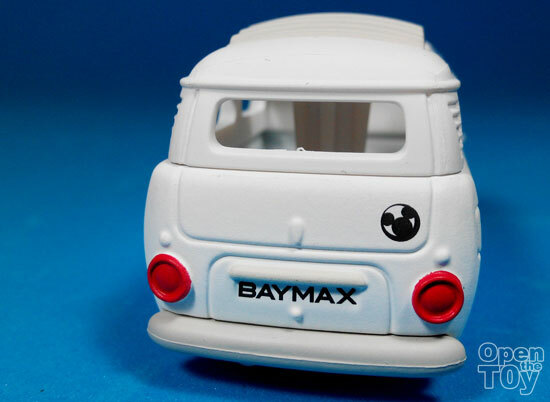 Here is a video review of Baymax van which you can see more of it in action. 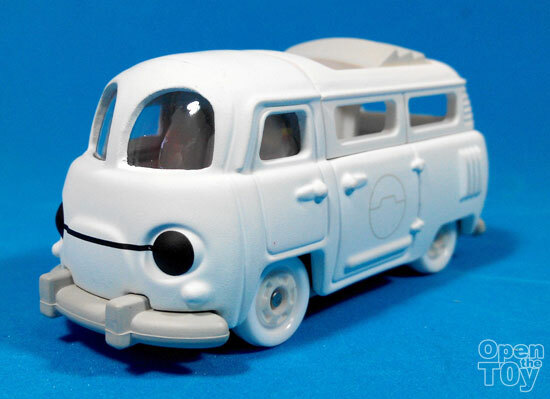 If you like my video review, please comment, Like or share or subscribe the youtube channel of Openthetoy. 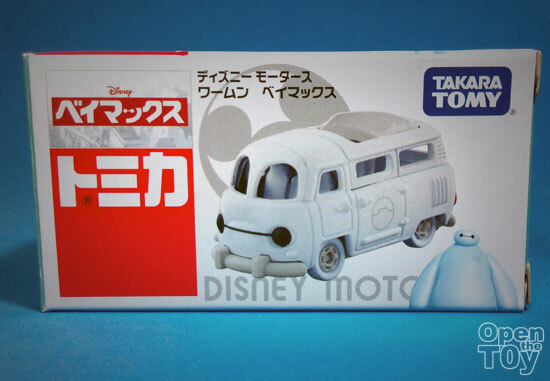 Do you like this Baymax van from Tomica?